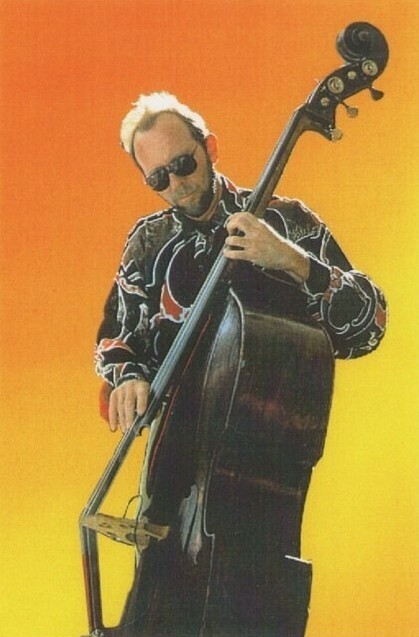 Bassist, composer and educator Chris Amberger has been a rock-solid part of the Bay Area's jazz community since probably before the Summer of Love, fifty years ago. Chris grew up in Waterbury, Connecticut, until he was a teenager, when his widowed mother moved the family out to Oakland, California. He graduated from high school in 1967, and started appearing on records the very next year. Chris moved on to Merritt College in 1967-68. Then, thanks to Down Beat magazine, he got a full four-year scholarship to Berklee College of Music in Boston. That was from 1969-73: on the faculty were the likes of Gary Burton, Major Holly, and Ron McClure; and among Chris's graduating class were Bill Pierce and John Scofield. Thereafter, Chris took off around the world. His musical quest has taken him to the four corners, playing with Art Blakey and the Jazz Messengers, and touring with the likes of Cal Tjader and Rosemary Clooney. In between tours he was back the Bay Area, serving as the house bassist at the Keystone Korner. Chris still makes his home here, in Petaluma, and continues to work hard, working sometimes as many as three gigs on the same day. Book Philip Toshio Sudo, "Zen Guitar"